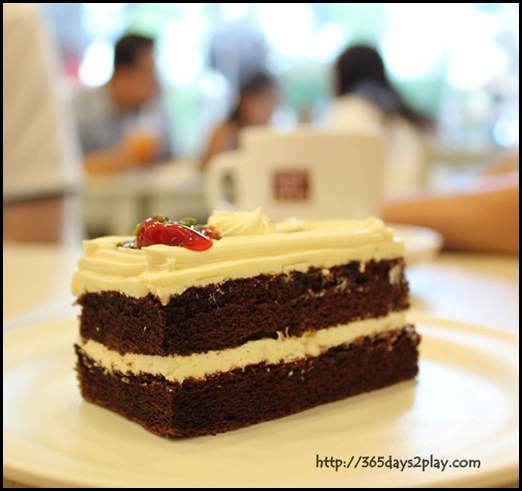 When times are lean and you have to make every penny count, it pays to know where the cheapest deals are. 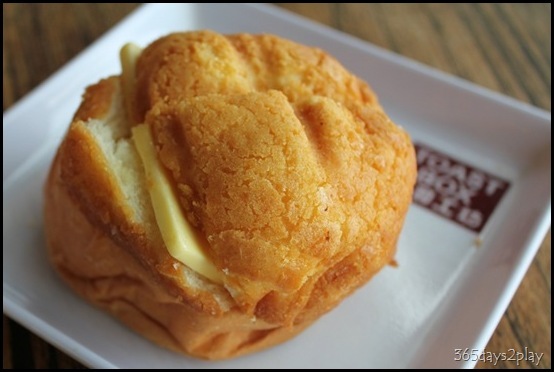 Price doesn’t always have a correlation with quality. 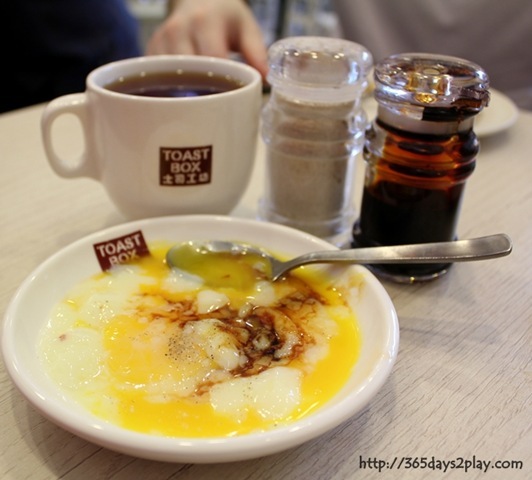 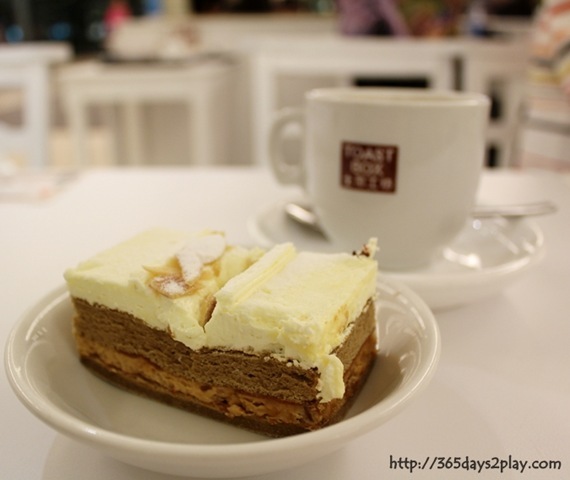 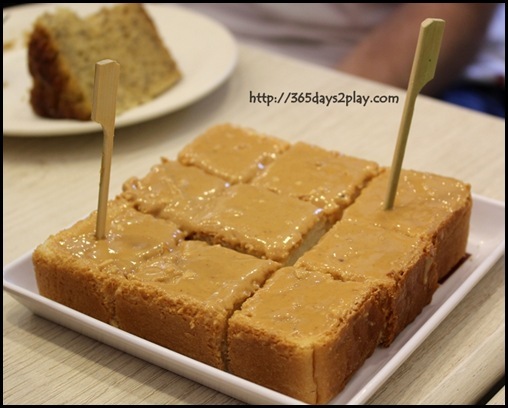 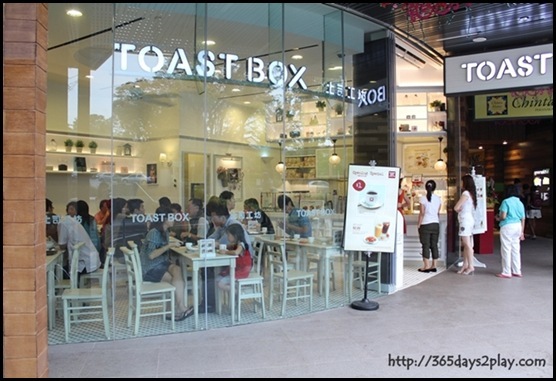 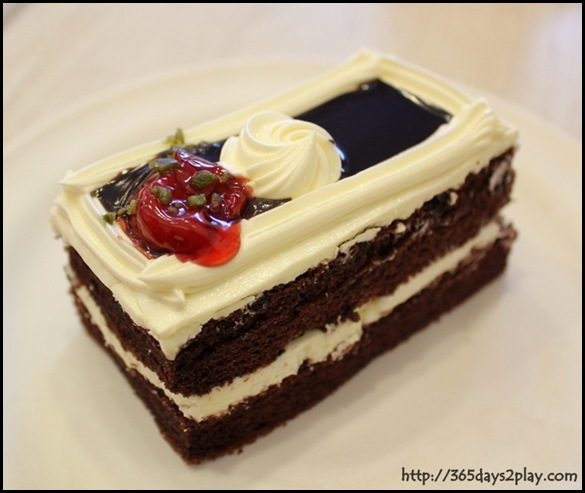 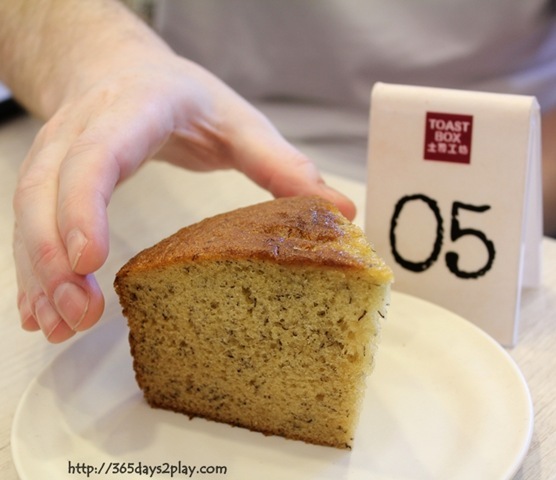 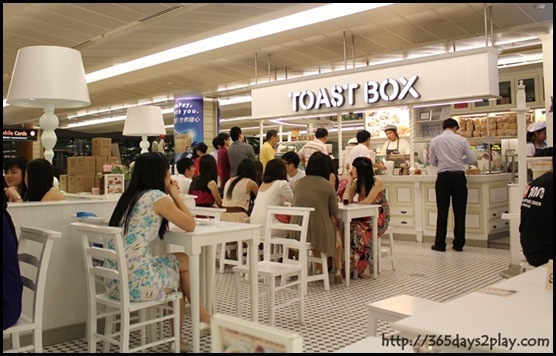 Today a few friends and I decided to forgo the $3.50 dessert cafe for ToastBox at VivoCity. It only cost us $2.50 each to enjoy a cuppa each plus buns and toast. Kaya Toast with Butter, only 2 slices though. 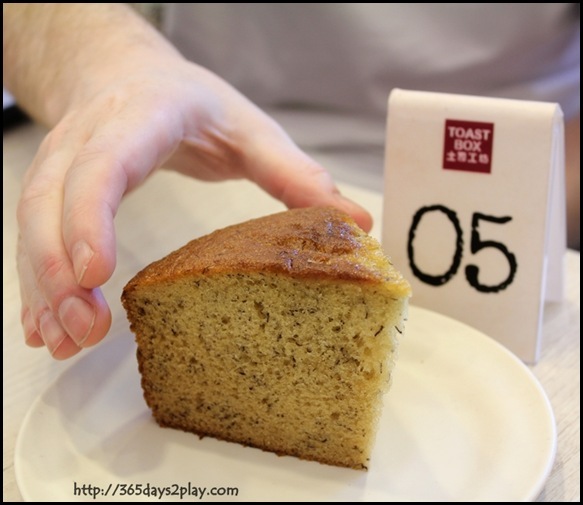 Yakun serves up a bigger portion. 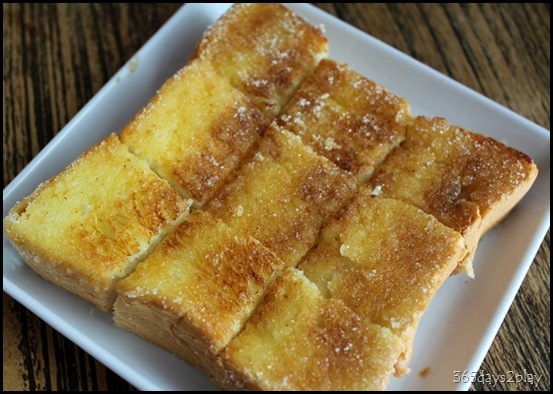 I think I still prefer the kaya at Yakun, only problem is, at Yakun, they tend to give you a very thin layer of kaya, whereas I like my toasts to be richly covered with kaya! 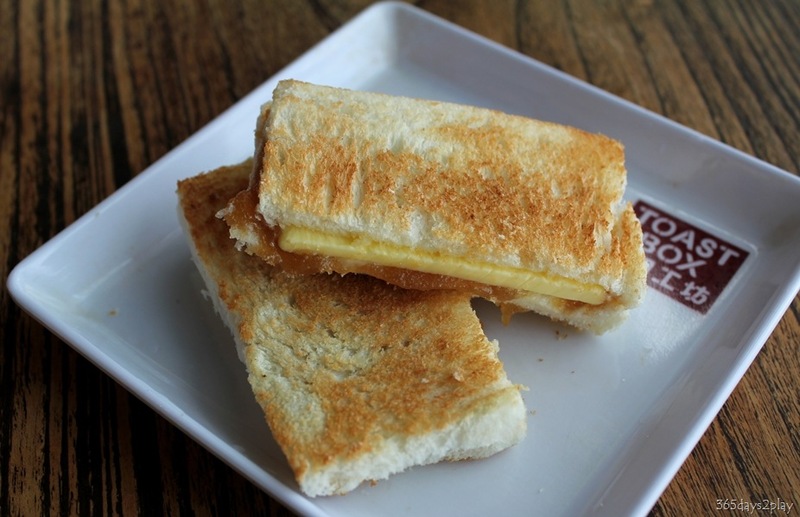 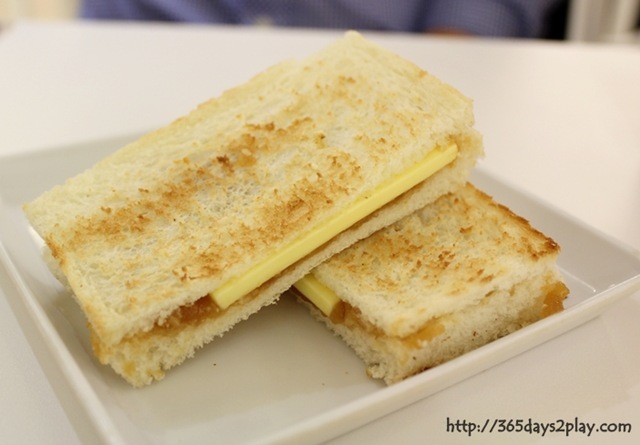 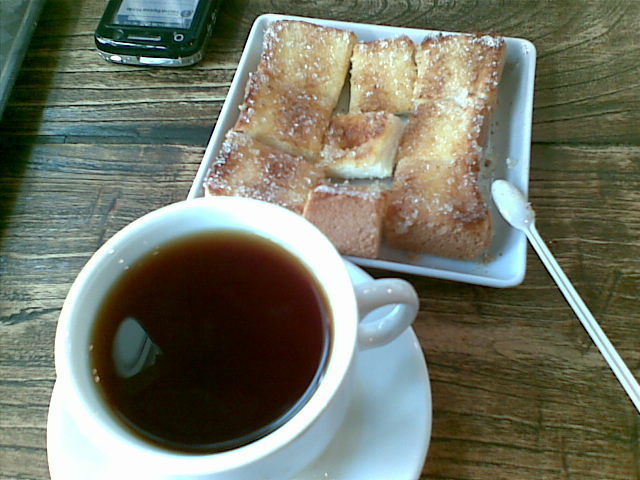 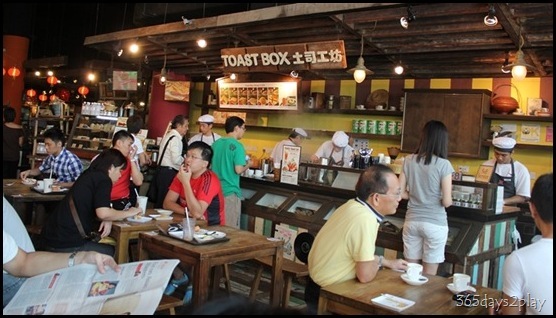 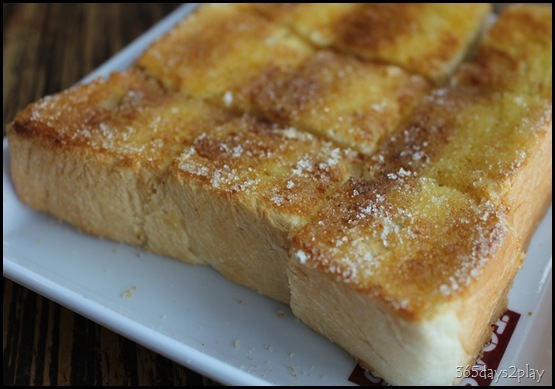 Thick toast with butter and sugar – ToastBox is still my favourite place to have this after all these years. 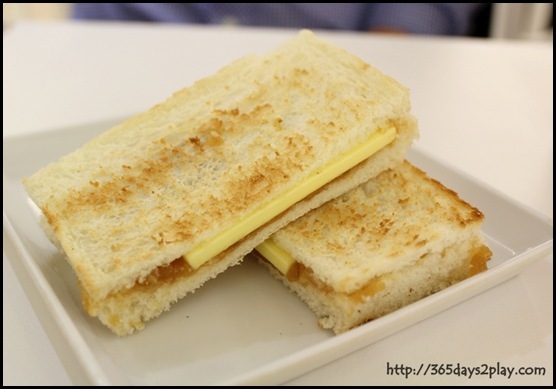 They are one of the few places that spread the butter evenly on the bread, such that each square of bread tastes good. 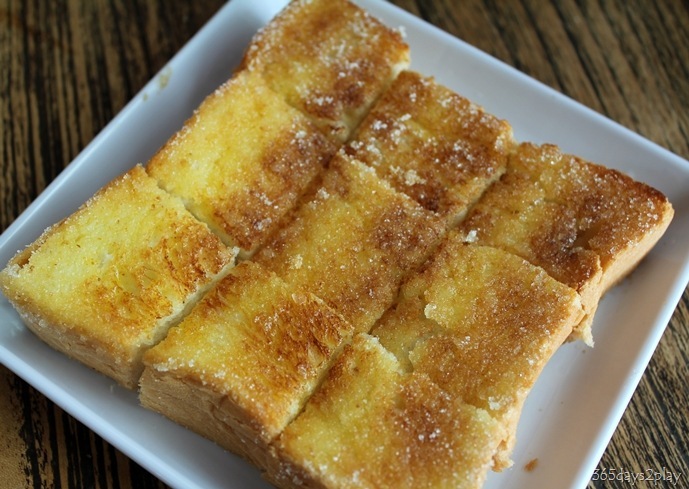 Other places give you lumps of unmelted butter and expect you to do something with it. 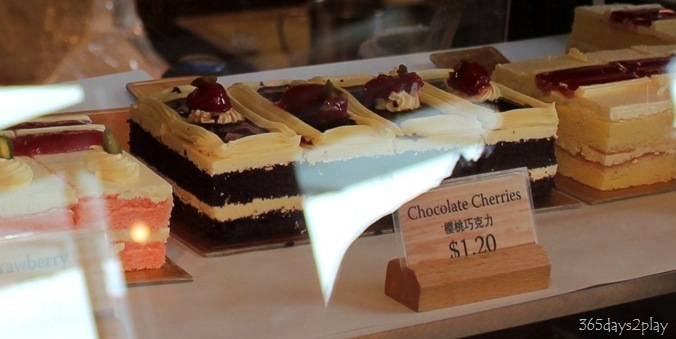 Chocolate Cherries cake and other sponge cakes. 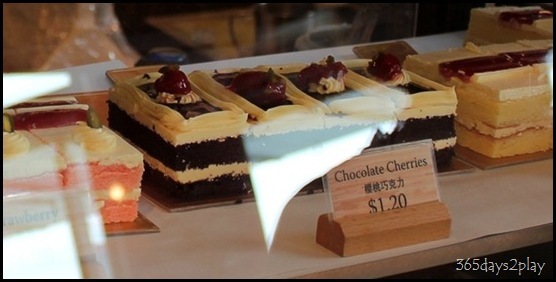 Have never tried them although the price looks very tempting. It’s good to know that we can still enjoy cake for only $1.20 in Singapore.